Our approach to the re-design of Morrison Kleeman Real Estate’s office, at the heart of Eltham, saw it as inseparable from the adjoining Town Square. 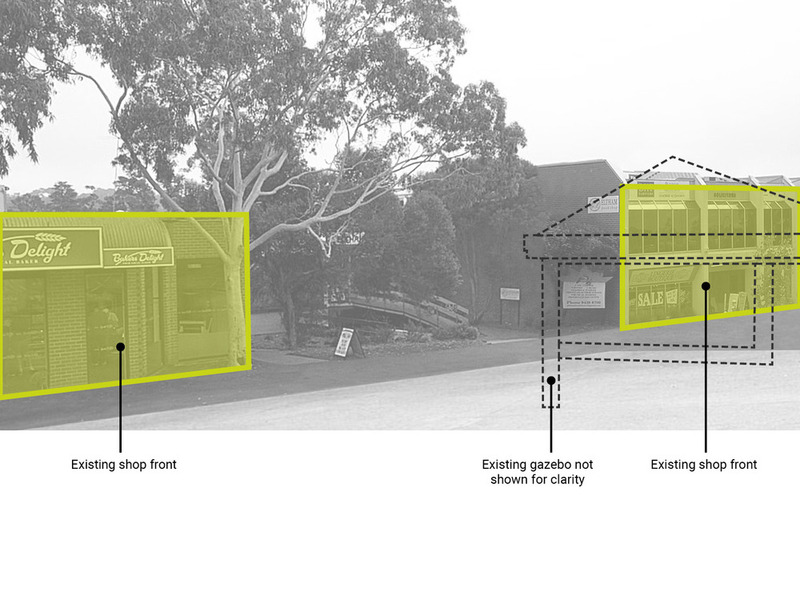 Featuring prominently as a two-storey form at the centre of the row of shops backing onto the square, it provided an opportunity to engage with and give back to Eltham’s most central public space. Thus the “back” of the building was perhaps more important than the front. While the adjacent buildings present unambiguous facades that mark a clear separation between public and private, open and closed, indoor and outdoor, the frontage of Morrison Kleeman Real Estate offers a blurred zone of ambiguity. Slow pedestrian weaving is encouraged and made possible by an open colonnade where one may pause for rest or shelter from the elements at any time of day or night. 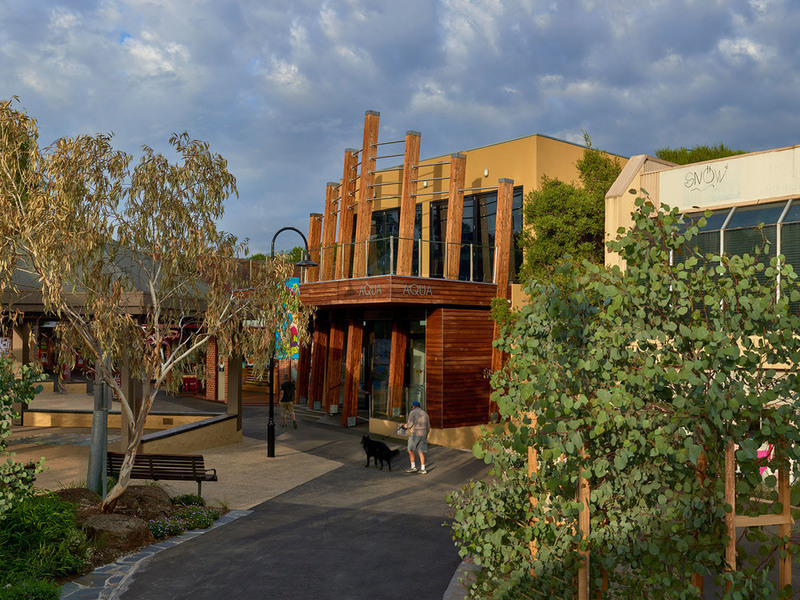 In the generous spirit with which the colonnade was conceived, its cambered timber columns offer a warmth and softness that relates to Eltham’s architectural vernacular.